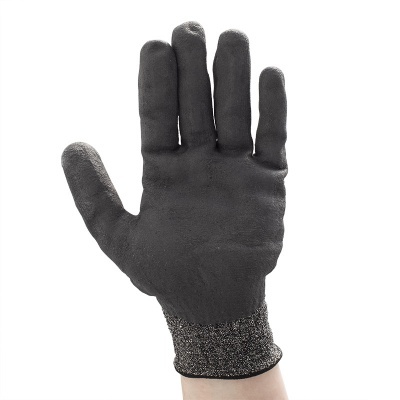 The correct selection of work wear can do wonders for productivity. 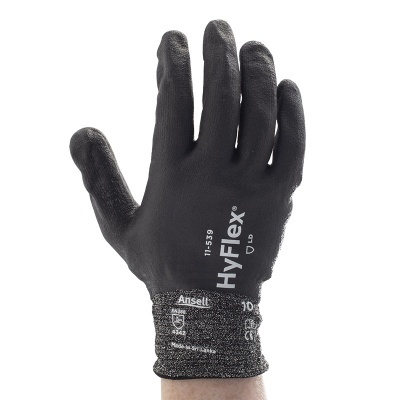 A combination of lightweight, dexterous gloves that offer excellent mechanical protection are the ideal choice. The Ansell HyFlex 11-539 Cut-Resistant Grip Fully Coated Work Gloves are specially designed to maintain total movement and sensitivity, while INTERCEPT cut resistance yarn protects hands from rough and sharp objects. 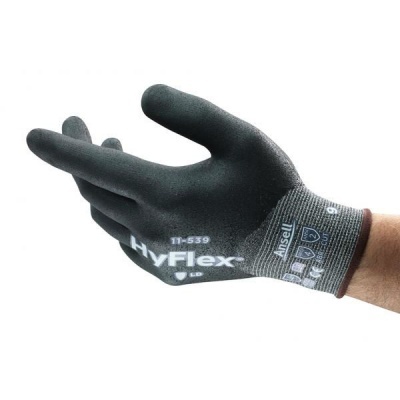 Their flexible but strong nitrile coating means that they are perfect for high cut risk industries, such as engineering or machine maintenance. 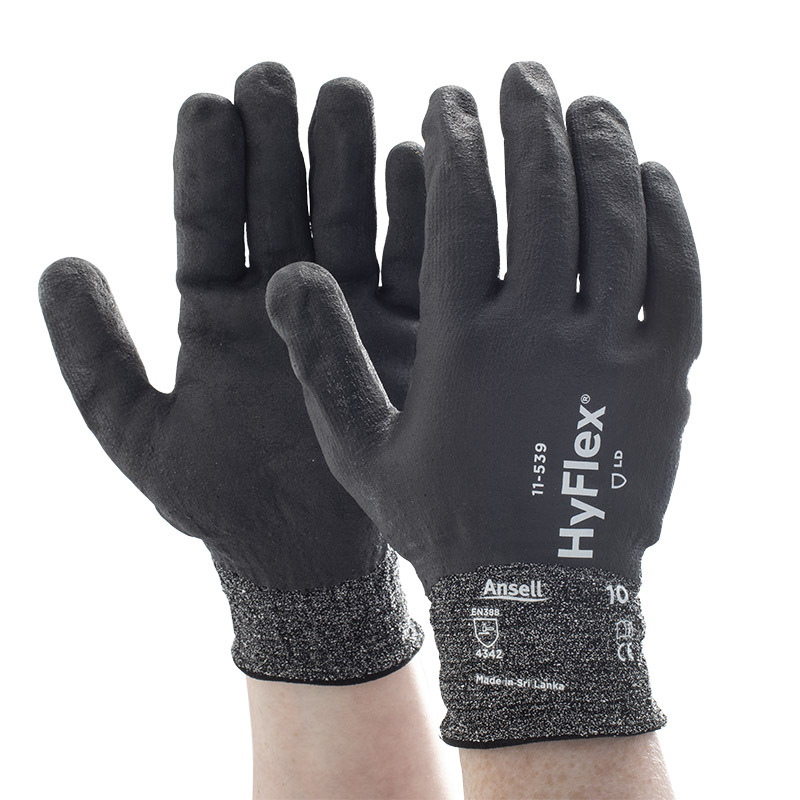 The Ansell HyFlex Fully-Coated Work Gloves are available in six sizes that should suit the hands of most users. Please measure the circumference of your hand around the knuckles (excluding the thumb) with your hand open and your fingers together, and the length of your hand from the tip of your middle finger to your wrist.